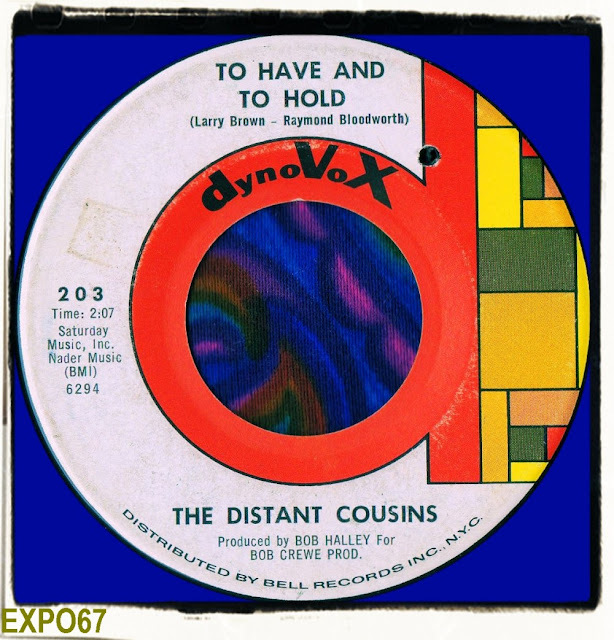 The Distant Cousins were NYC based duo Larry Brown and Raymond Bloodworth. 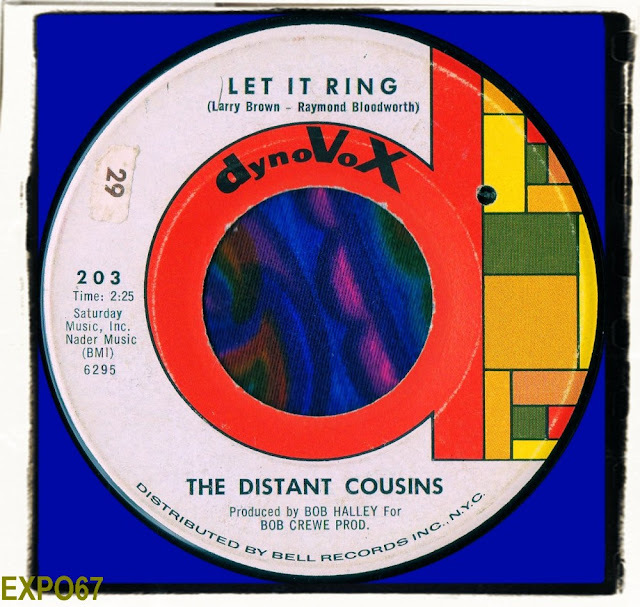 They met while serving with the U.S. Army Signal Corps and soon discovered that they had a love for and similar tastes in music. It appears that the British Invasion sounds of beat rockers and in particular slow beat ballads were their niche. 'Let It Ring' recalls English groups like The Poets and The Tremeloes with it's uptempo beat, strummed acoustic guitars and bursts of harmonica. This was about as exciting as The Distant Cousins ever got on record. They offered their more beatsville songs to Richard and the Young Lions, although the flip 'To Have And To Hold' is very much soft pop and was indeed a Young Lions flip side. Brilliant Dynovox label design by the way if you haven't noticed. To Have and To Hold, a pretty acoustic-guitar-based song, was the original A side. We gave it a little airplay at WBRU in Providence when it was new. Very nice. I didn't remember Let It Ring till I just played it; it seems better than I remember it.